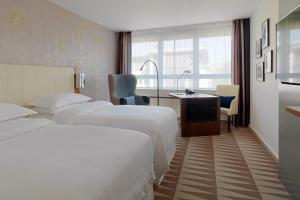 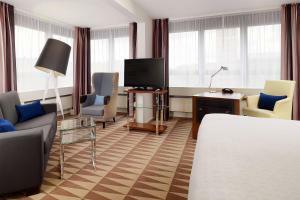 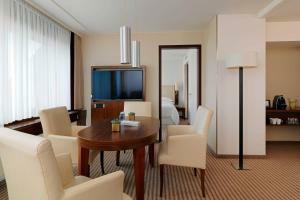 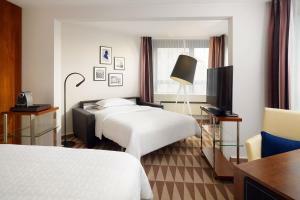 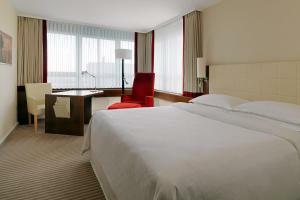 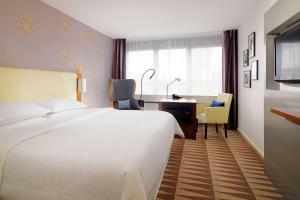 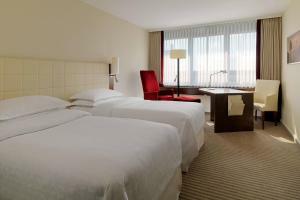 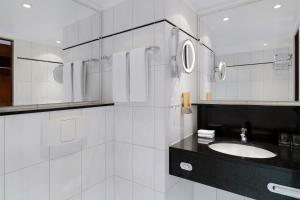 All rooms at the Sheraton München Westpark Hotel are non-smoking and feature a 32-inch flat-screen TV and a laptop safe. 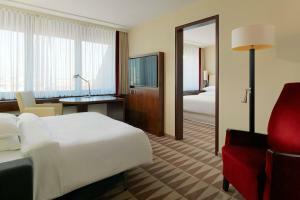 Free Wi-Fi, free computer terminals, and printers are available in the Link@Sheraton business centre. 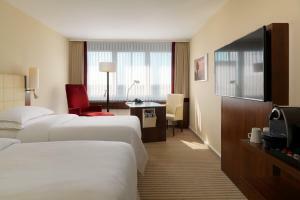 The Club Lounge is located on the 10th floor.